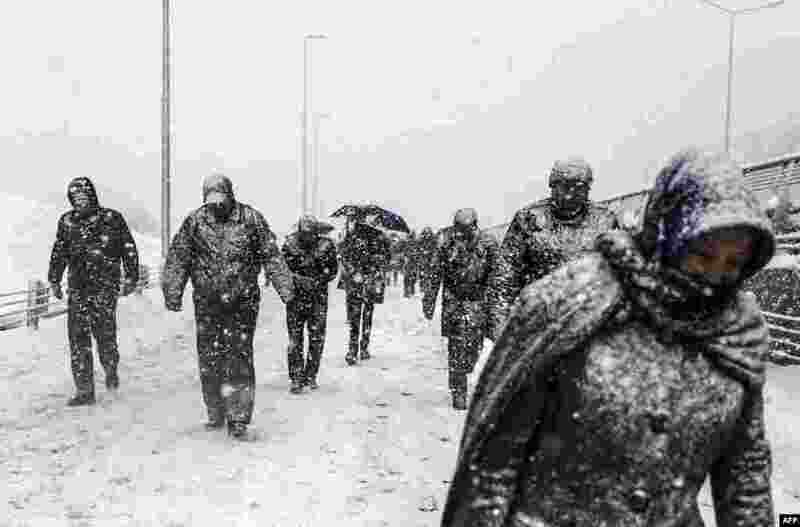 5 People walk during heavy snowfall in Istanbul, Turkey. 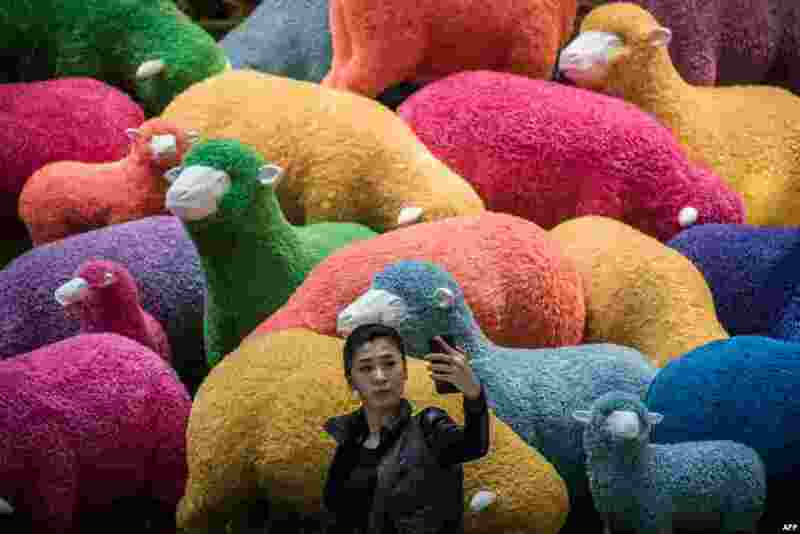 6 A woman takes a selfie in front of a multi-colored sheep installation displayed in a shopping mall for the Chinese New Year celebrations in Hong Kong. 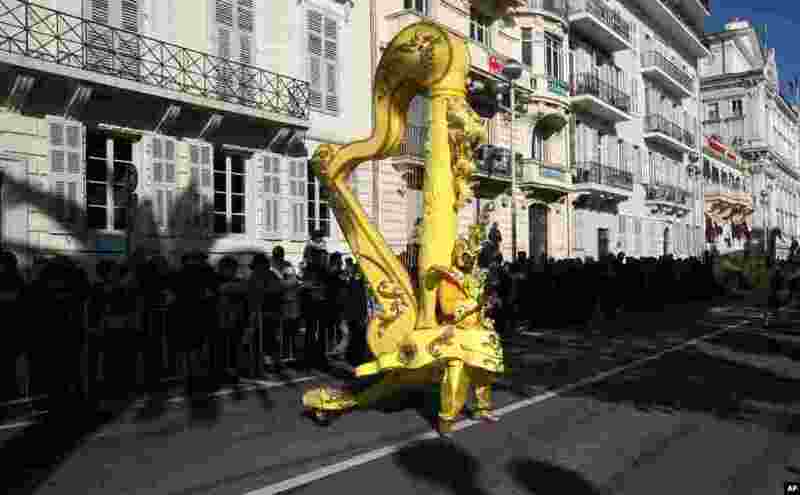 7 A person holding a giant harp during the flower parade of the 131st Nice carnival edition in southern France. The Carnival, running from Feb. 13 until Mar. 1, 2015, celebrates the "King of Music". 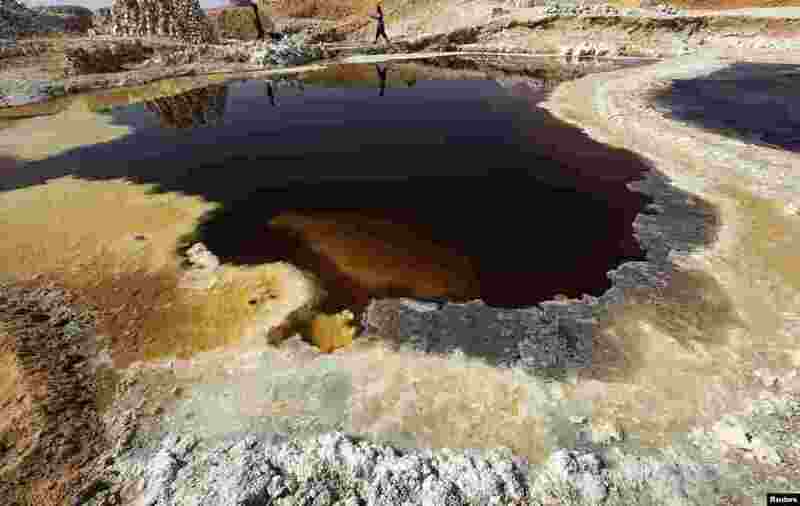 8 Sudanese from the Bedouin ethnic group collect Trona, a natural form of sodium carbonate minerals, from Oasis Natron in Malha, a town in Sudan's North Darfur.